When the temperatures are on the rise in your home or workplace, you don’t need to suffer. Clarkstown Heating and Air can help you keep your cool with a new air conditioning system installation for your Rockland County, NY home or office. We promise to provide you with the best in central air conditioning from start to finish. That’s why we always check your system after installation, maintenance or repairs to make sure it’s running its best. We want your central air to run smoothly and efficiently for years to come, which is why our quality of installation is the best available. 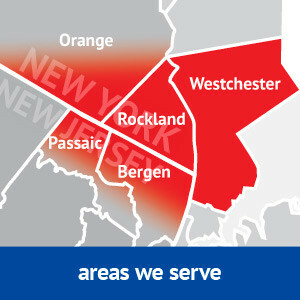 Why Choose Clarkstown for Central Air Installations? Nobody wants to be uncomfortable. That’s why if you’re faced with a cooling emergency, you should give Clarkstown Heating & Air Conditioning a call. Our technicians are trained to provide expert repair services on any make or model of air conditioning system you own, and can easily identify the issue with your system and get repairs made quickly. Did you know that proper maintenance of your air conditioning system helps to ensure that it will run effectively and efficiently, now and for years to come? Several estimates report that nine out of 10 air conditioner breakdowns happen due to improper maintenance. An annual maintenance tune-up from Clarkstown helps keep your AC system running smoothly! At Clarkstown Heating & Air Conditioning, we pride ourselves on providing Rockland County, NY with the best quality, most efficient new air conditioning systems on the market. If you’re looking for a quiet, attractive and energy-efficient air conditioner, call Clarkstown Heating & Air Conditioning at (845) 620-1000. 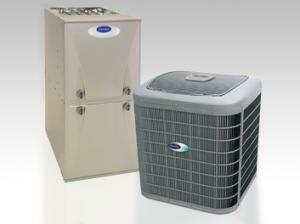 We will be happy to install a new air conditioning system that best suits your needs.